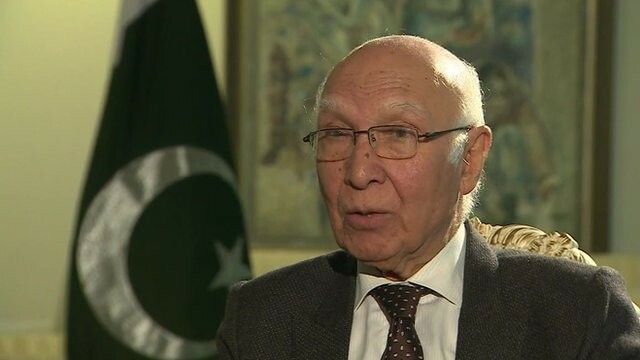 ISLAMABAD (92 News) – Adviser on Foreign Affairs Sartaj Aziz on Sunday rejected Indian Defence Minister Manohar Parrikar’s statement that his country should “root out terrorism with terrorism”. Meanwhile, Federal Minister for Information Pervez Rashid also expressed concern over the statement of Indian Defence Minister, terming it dangerous for regional peace. “Such statements do not help the purpose of reconciliation,” he said. Urging the international community to play its role for global peace, he said that such a statement exposes the true mindset of Indian ministers.